The Global Interfaith Network for People of all Sexes, Sexual Orientations, Gender Identities and Expressions (GIN-SSOGIE) decries the arrest, detention and ongoing prosecution of Dr. Stella Nyanzi, a University lecturer and civil rights activist in Uganda. Prior to her arrest, Dr. Stella Nyanzi had vehemently campaigned for free sanitary pads access by school girls in order to curtail the trend of school drop out by girls in Uganda. Her hastag campaign #Pads4girlsUg drew massive followers online and she raised funds through a crowdfunding page to buy and distribute them herself. The provision of sanitary pads was an electoral promise that is yet to be fulfilled by the Government of Uganda. Members of the Christian faith (as Dr. Stella Nyanzi is) will be aware that Jesus himself challenged the authorities of his day (for example his rejection of the prohibition of work on the Sabbath (Matthew 12: 9-12)) in pursuit of health and healing for ordinary human beings, and that this challenge was a part of the reason for his crucifixion. “The arrest, detention and ongoing prosecution of Dr. Stella Nyanzi are nothing else but a state machinery used to muzzle an outspoken civil rights activist” Said Thomas Ndayiragije, Programs Manager at the Global Interfaith Network. 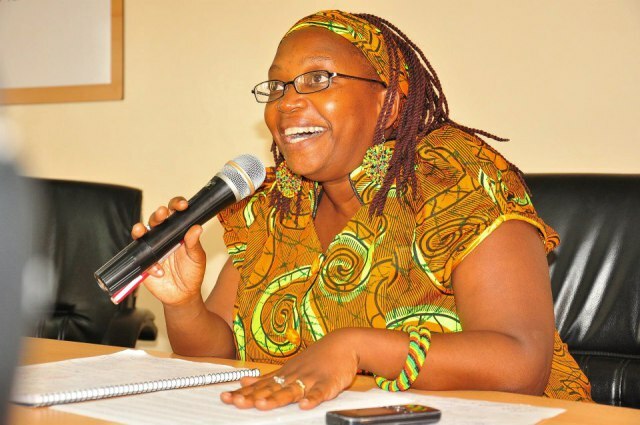 Amnesty International considers Dr. Stella Nyanzi to be a prisoner of conscience, held solely for exercising her right to freedom of expression. Encourages the members of the Global Interfaith Network on the ground to organise a solidarity visit and continue to advocate for the release of Dr. Stella Nyanzi.